Consider donating gently used furniture to a community thrift shop. Call ahead to see if they have room. See the Donation Locations page for more information. Each Truckee resident can schedule up to two bulky item curbside collections for FREE each year. Each pickup includes up to one bulky item (couch, mattress, etc.) AND up to 3-cubic yards of recyclables, electronic waste, and universal waste. Additional pickups are available for a fee. Individual items cannot exceed 200 lbs. Call TTSD at (530) 583-7800 to schedule your pickup. Most furniture does not need to be disassembled before it’s dropped off. Secure drawers, doors and glass by taping them down. Then you can transport the furniture to the landfill. If a piece of furniture looks worn out, consider giving it a simple makeover, such as reupholstering. Even adding a fresh coat of paint could brighten up any old furniture piece. Consider saving a few dollars by purchasing furniture secondhand, but always check to see if the piece of furniture is broken. Also check for mold on the wooden parts of the furniture. A recent study found that populations of the endangered California Condor have elevated levels of toxic contaminants like mercury and PBDEs, a flame retardant. 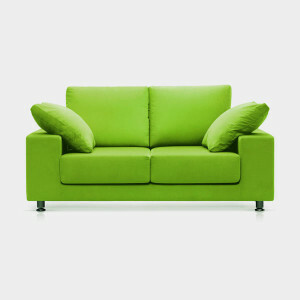 PBDEs leech into the environment through close contact with or improper disposal of the items that contain them, such as stuffed and upholstered furniture. These chemicals have also been shown to have negative health effects on people.